After Qdoba’s sudden and disappointing closing, a new restaurant quickly popped up in its place. Crave-A-Bowl, the ambiguously named newcomer to the Oakland food scene, opened just over a week ago and has generated a fair amount of buzz due to it replacing the popular burrito-based spot. Owned by Pittsburgh native Christina Yannacci, Crave-A-Bowl is not a chain but rather the first of it’s franchise. Specializing in “fresher, quicker food,” Crave-A-Bowl is a much-needed reprieve from the generally unhealthy food peddled by most Oakland eateries. All of the “signature bowls” on the menu are loaded up with assorted veggies, including many niche options — such as capers, Kalamata olives and zucchini — that are hard to find in the fast-food world. In addition to the aforementioned signature bowls, customers are free to pick and choose from the many options on the line. The pricing at Crave-A-Bowl is comparable to many places along Forbes Avenue. With the standard 16-ounce bowl priced at $6.99 and a shareable 32-ounce bowl for $9.99, you get about as much food as you’d get with a normal portion at Qdoba or Noodles & Company, though the fresher ingredients prevent the leaden feeling that often accompanies eating at those places. For the customers with more voracious appetites, though, a regular-sized bowl may be insufficient to fill you up — my stomach was grumbling again after only an hour. And for students used to paying with cash, be mindful — Crave-A-Bowl does not accept cash, so be sure to have your credit or debit card on you if you want to eat. The food itself was more impressive on paper than in reality, but it was still on the right side of average. The fresh veggies added the expected boost in taste, and the sheer number of different ingredients in the signature bowls created unexpectedly complex flavors. It is clear that plenty of thought went into the design of each bowl – especially the Thai Bowl, which resembles a rice-based Pad Thai. For Qdoba fans who mourn the loss of the restaurant and yet cannot bring themselves to desert to Chipotle, Crave-A-Bowl offers a burrito bowl, complete with queso. The only bowl that seems suspect is the Buffalo Bowl, which successfully brings the heat but uses unorthodox ingredients like jalapenos and a red hot barbecue sauce that detour from typical “Buffalo-style” offerings. 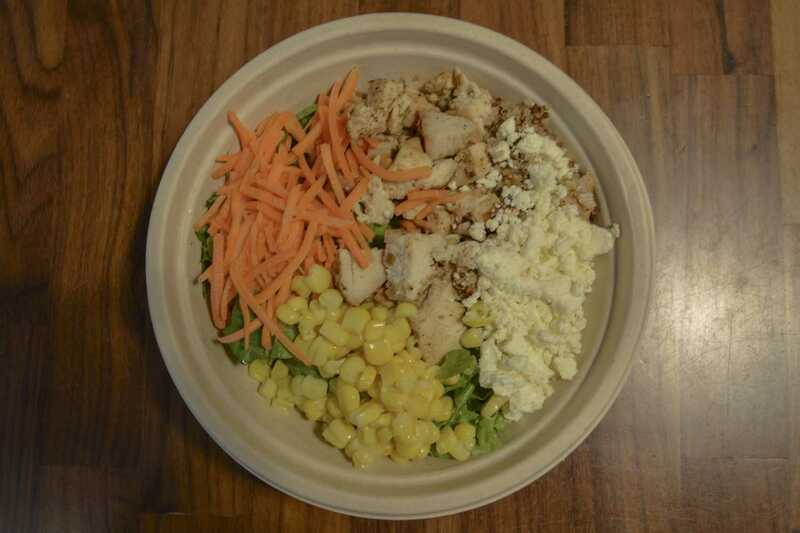 Although the restaurant’s food quality is about equal to that of Qdoba and its contemporaries, Crave-A-Bowl does not currently offer the kind of discounts that made Qdoba such a popular late-night destination. According to Yannacci, however, Crave-A-Bowl will likely accept Panther Funds in the near future. Yannacci also says that the eatery is working on a rewards program, which will help make Crave-A-Bowl a more economical place to frequent. The new crew did little to change the layout of the former Qdoba, but the minor changes they did make helped to liven up the atmosphere. A new pastel blue paint job has transformed the restaurant from the distinctly dark and somewhat dreary eatery that was Qdoba into a brighter, crisper environment.